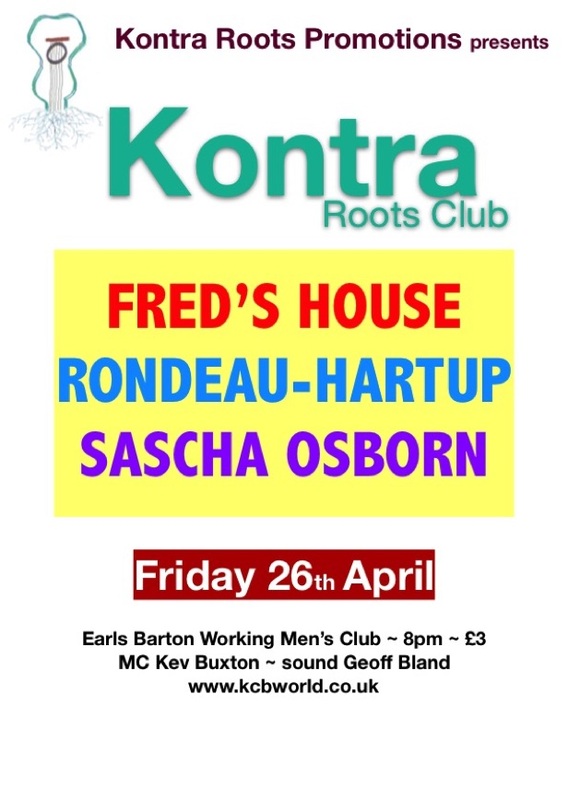 Set up in 2005 by roots musician Kevin Buxton, KONTRA ROOTS is dedicated to promoting the very best roots and acoustic music in the Northamptonshire area and beyond. It founded and organizes the legendary KONTRA ROOTS CLUB and promotes acoustic roots concerts and events at numerous other music venues in the area, organizing everything from house concerts to Arts Centre and festival events. Full details of forthcoming events are listed on the relevant pages, but for an at-a-glance overview of the current season go to our PROGRAMME page.